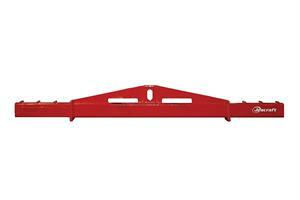 DRE have been manufacturing and supplying Spreader Beams for over 20 years. The Spreader Beams are manufactured in our workshop situated in Bunclody Co.Wexford Ireland, at the Wexford, Carlow and Wicklow borders. Description: The DRE forklift mounted spreader beam fits on to the forks and secured in place by a retaining pin, allowing wide loads or long loads to be slung / lifted securely. Made to fit most standard size forklifts. All our products are manufactured to the highest standard from quality materials by our experienced staff. Manufactured and certed to your needs. Can be painted to your requirements. Attachments can be made to fit your machine if you have any special needs.